I love to walk. I walk a lot in Norfolk, but the thing about Norfolk is it is rather flat. Ok- now that is a lie, I can safely attest that there are hills, but Beeston Bump aside there are no great inclines. I have had the hiking bug for quite some time now, but it would be quite a journey to hike my first peak. I’d have to head inland and the two combined would turn into a multi- day trip, which at the moment isn’t really possible. 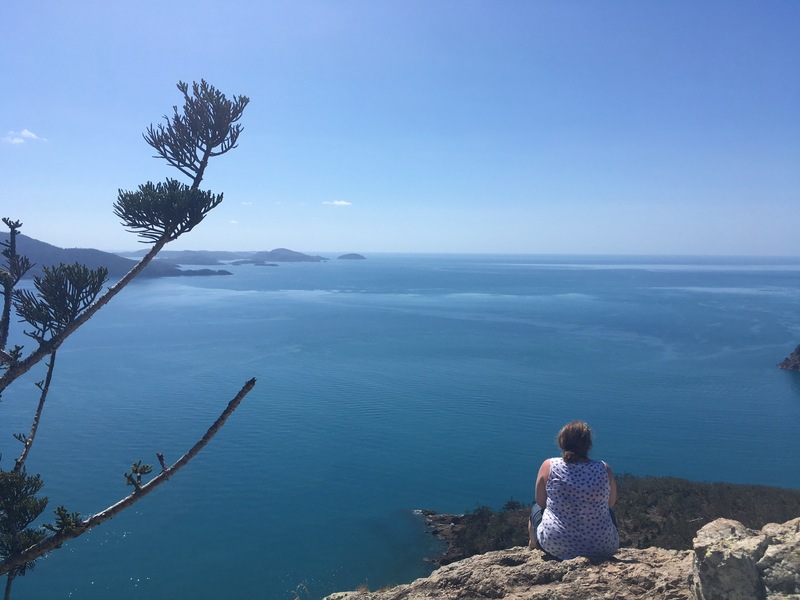 So when I discovered that the island in the Whitsundays I would be staying on had a peak I made a note in my notebook that I would be doing it. 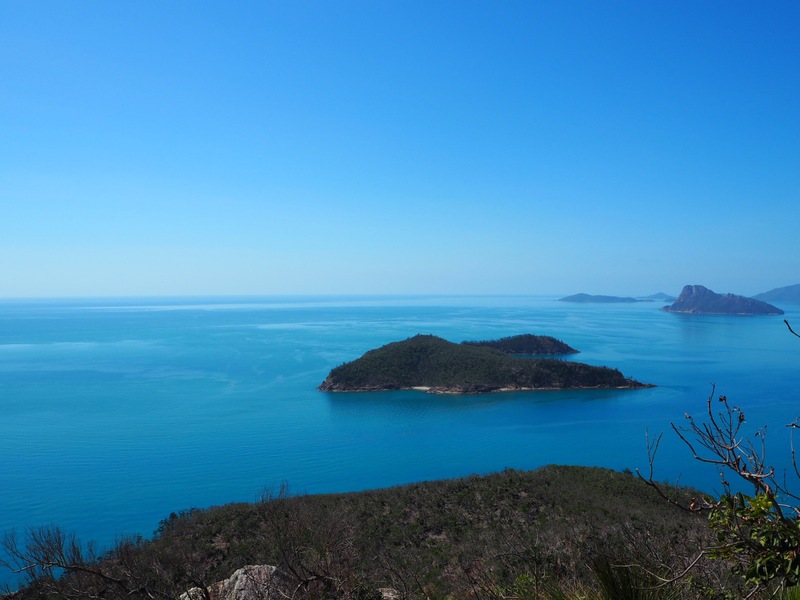 Hamilton Island is one of the most beautiful places I have been. I was there for the wedding of my oldest friend and the week was full of fun things with a stunning wedding in the middle. 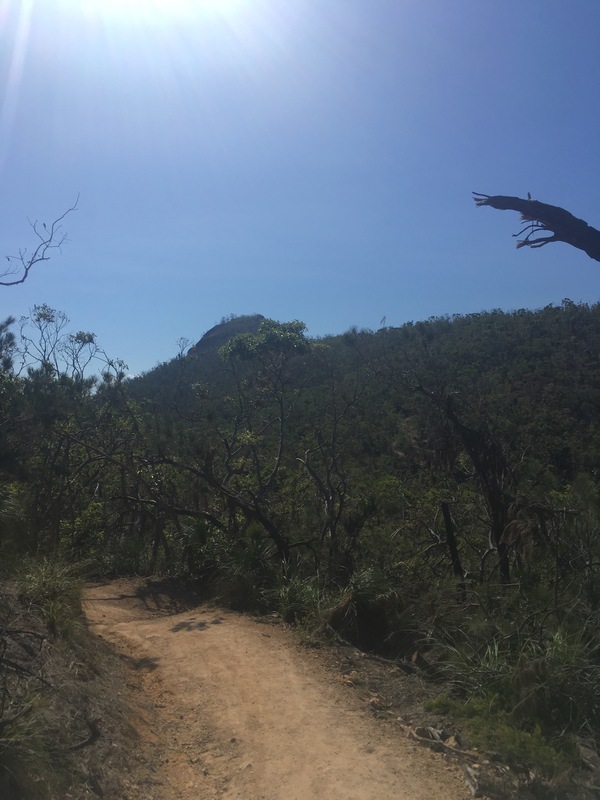 Before I knew it, it got down to the day before we left Hamilton and I still hadn’t done it – so I arranged for someone to drop me off in their golf buggy at the start of the trail early one morning and off I went. I took the scenic trail from behind the resourt. I had a thermos flask of cold water and my factor 50. I wished I had a hat. 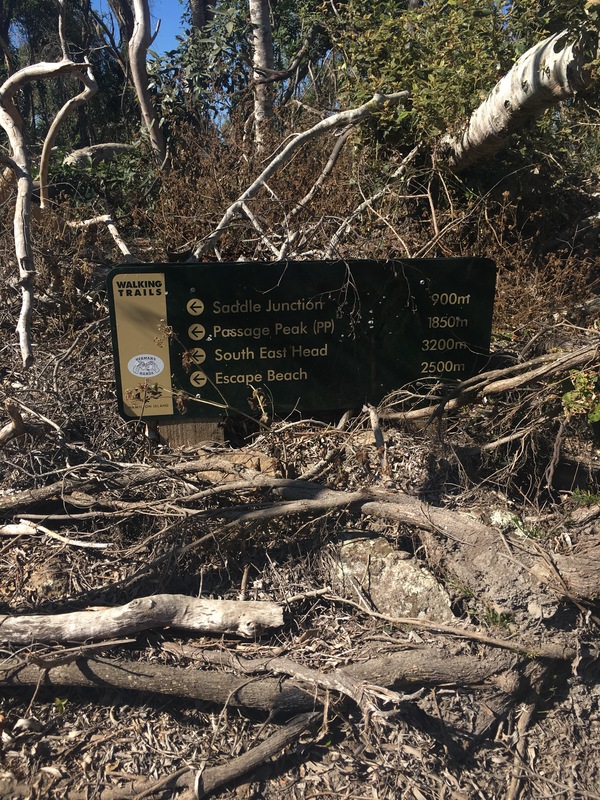 I had no map and was totally relying on the fact that Hamilton is a major resourt island so anything that tourists do *must* be signposted…..right? The first 15 minutes were hell on my calves. 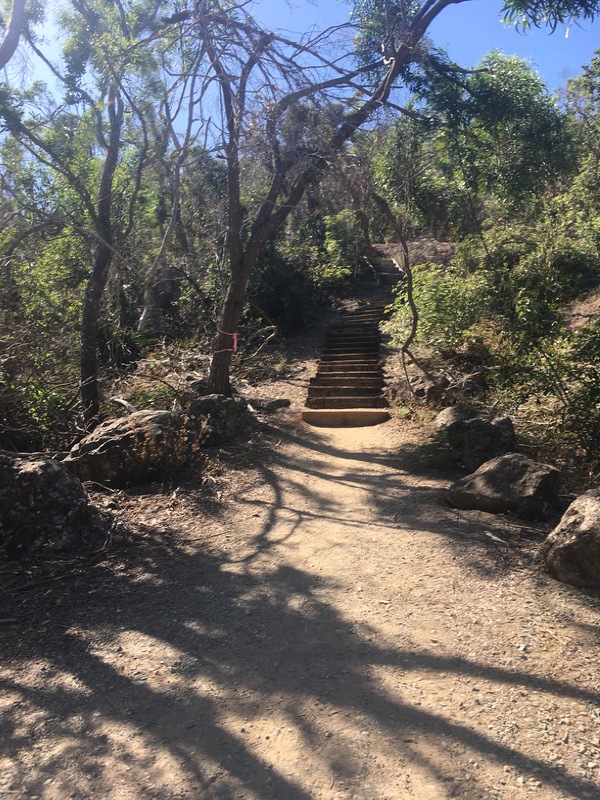 The trail really does start at sea level with a pretty steep incline. 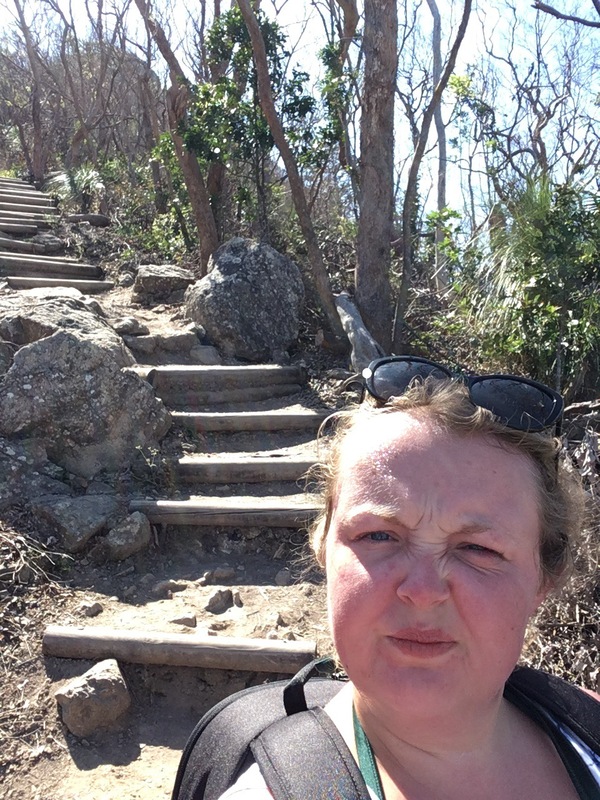 I am not the healthist of people, and in those first 15 mins I knew I looked like I’d been hiking for hours. I passed many people on the trail and initially I was super self concious of what I looked like, wondering what they thought of the big girl going for a hike. But in true Aussie fashion – everyone I met smiled and wished me good morning. No one judged – just got on with their walk – and so did I. The terrain was really dry, with damage from the cyclone earlier on in the year evident everywhere you looked. There was one moment on the trail where the signpost was lying on its side…. I stood there for about 10 minutes highly suspicious that someone might be playing a trick on the “dumb tourists.” But then I remembered that I wasn’t in London and this was highly unlikely and so went in the direction it was pointing. The trail was very un even and I always had to watch my footing. My left knee and right ankle have had a rough time of it in the last 12 months and I am only now really getting confident in their ability to hold up- this was a major test and they passed! I passed some crossroads and found the steps. It felt like they would never end. They weren’t well constructed steps, they were roughly made from whatever was lying around and bore traces of damaged from the weather. I stopped for a breather so many times I lost count, but I wasn’t going to give up. And whilst it sounded like the kookaburras were laughing at me I was actually having fun. Sure I was passed by people, but they didn’t look like they were having a much easier time of it than I was, which made me feel better. Seriously. It felt like they would never end. But they did… and the view from the top was amazing! When I reached the peak I think I must have had the biggest grin on my face. I sat on the rock at the top and died for a bit whilst taking in the view. This was a huge achievement for me and I was so proud that I hadn’t given up when it got really tough! There isn’t a huge amount of space at the top so I can imagine it gets a tad overcrowded at certain times but when I got there it was just me and another couple from the UK. Which was kind of handy as we could play photographer for each other. 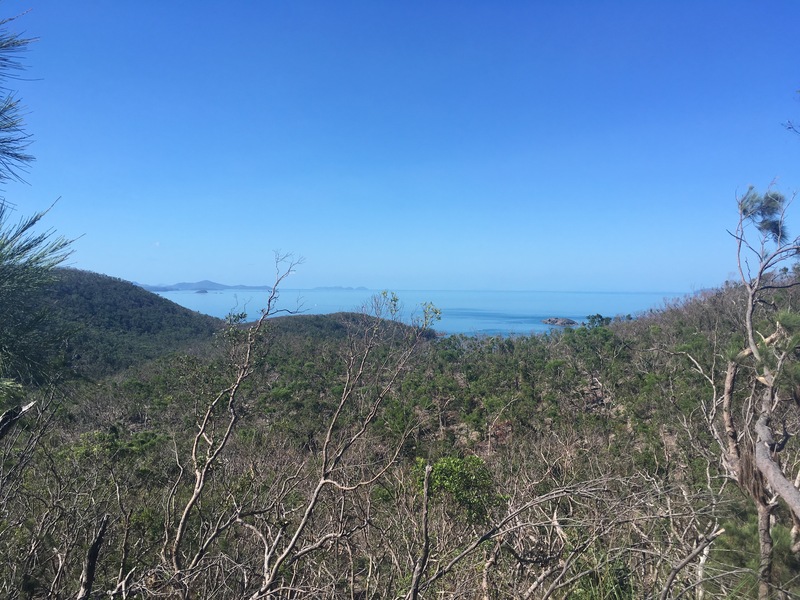 You can see across the Whitsundays, all around the island and also can just about make out Whitehaven Beach in the distance. It’s such a postcard view and if it wasn’t for the fact that the temperature was steadily climbing I could have happily spent more time up there just watching the world go by. ( or sail by) I passed people of all ages on the trail so this really is an adventure anyone can take part in, just make sure you have plenty of water, suncream and a snack or two. 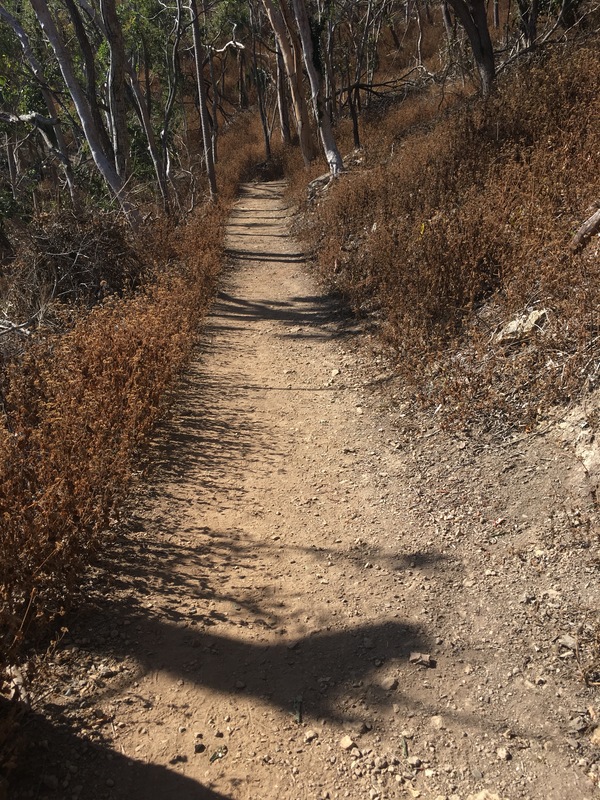 The walk down was much more of a scramble and I had to concentrate a lot more on my footing and balance, making sure I wasn’t going to wobble and put my hand through a spiderweb. Or fall off the edge. I did take the shorter route back, but I am so glad I didn’t take this option on the way up as it wasn’t half as scenic. The views of the island are so worth the extra effort. This little excursion has really given me a confidence boost and shown me that I am able to do more than I think I can. It only took me about 20 minutes more than the time it said it would, where as honestly thought it would take me double. Top it off with me not being a big ball of ache the next day and I call it a win! 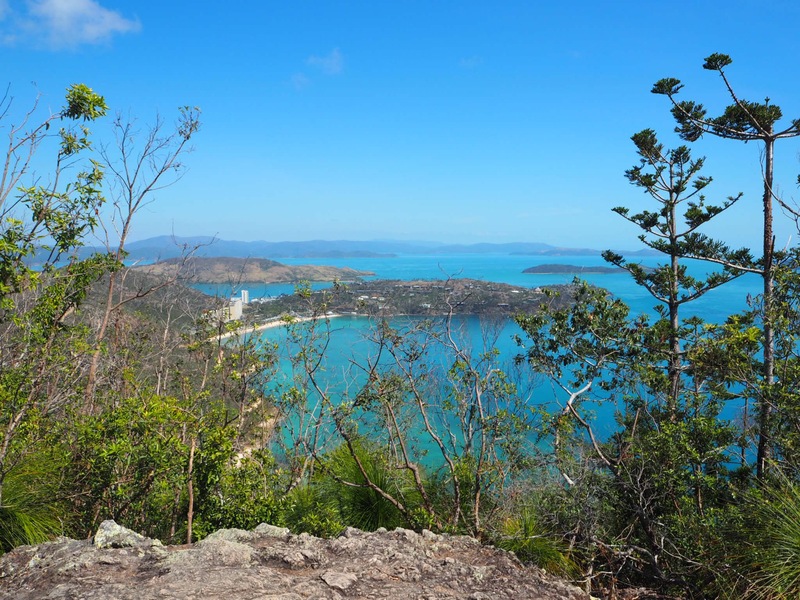 I really have fallen in love with Hamilton Island and know I will definitely return to explore more of what this beautiful place has to offer! But for now I am googling easier UK hikes – this bug is a clearly not going anywhere. 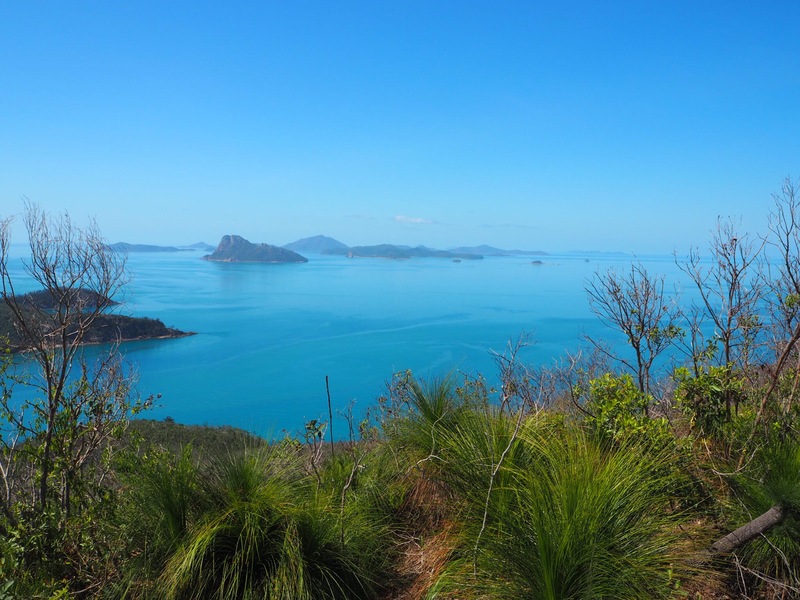 Stay tuned for more Australian adventures- I had many!